It's Time to Purify Your GI Tract is only available to members of Steven Horne's Member program. Natural healers have long known that health and disease begin with the gastrointestinal tract. Now, science is catching up with tradition, as we learn that intestinal irritation and excessive intestinal permeability, also known as leaky gut, lie at the root of numerous health problems. When the intestines are irritated from environmental toxins or an imbalance in the friendly microbes of the gut, the gaps between the intestinal cells widen. This allows molecules of undigested food particles, toxins and infection to more readily enter the body. The result is increased irritation and inflammation throughout the entire body. Leaky gut has been identified as a contributing factor in acne, autism, celiac disease, cystic fibrosis, chronic fatigue syndrome, diabetes, diverticulitis, fibromyalgia, GERD (gastroesophageal reflux disease), H. pylori infection, hypochlorhydria (low stomach acid), hypoHashimoto'shimoto’s thyroiditis, IBD (inflammatory bowel disease such as Crohn’s and ulcerative colitis), IBS (irritable bowel syndrome), interstitial cystitis, lactose intolerance, NASH/NAFLD (non-alcoholic steatohepatitis/non-alcoholic fatty liver disease), obesity, Parkinson’s, prostatitis (chronic) and rheumatoid arthritis. That’s quite a list of physical ailments, but there’s more. Intestinal irritation and leaky gut are also linked with mood disorders such as depression, anxiety and brain fog. 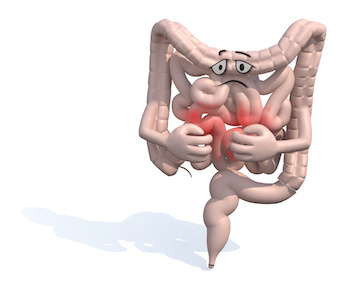 The simple fact is that many of these physical and emotional health issues will disappear if we purify the intestinal tract and tone up the excessive intestinal permeability. Isn’t it time that you decided to purify your intestines? Watch this Sunshine Sharing Hour and learn how to heal your entire body by healing your gut.